Dorothy Ashby was perhaps not Detroit's most famous female jazz harpist as that distinction belongs to Alice Coltrane but she was notably the first and a trailblazer who overcame massive setbacks throughout her nearly 30 year recording career. 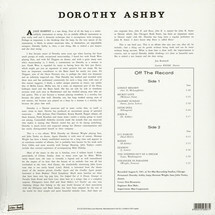 Playing on an instrument not usually associated with jazz, in a male dominated field, Ashby is a true and amazing original. 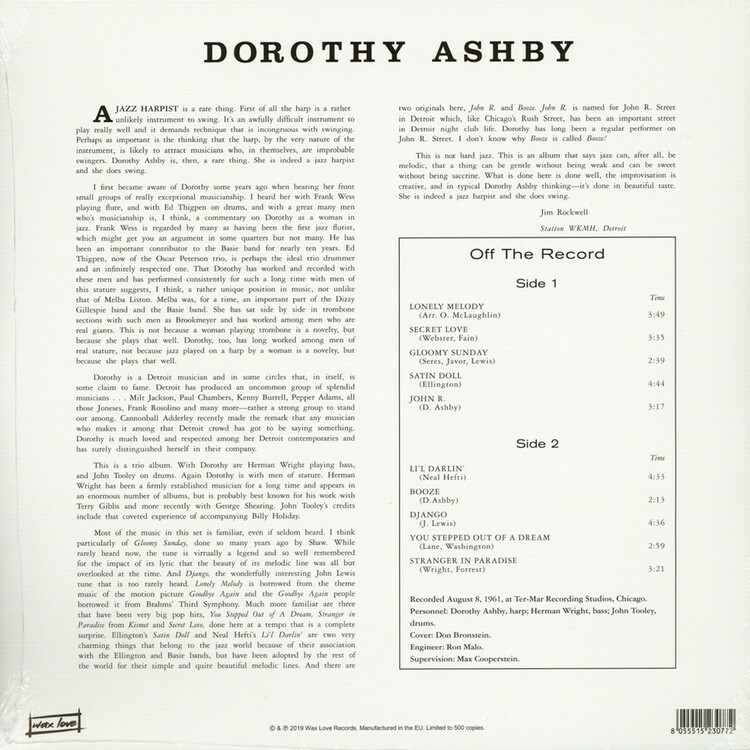 Originally released in 1962, and with the help of a rhythm section of Herman Wright on bass and John Tooley on drums, Dorothy Ashby is one of her earliest titles as a leader and a beautiful piece of innovative mid-century jazz. A mix of originals and tastefully selected covers like Ellington's "Satin Doll" and Neal Hefti's "Li'l Darlin'" this is another lost jazz classic resuscitated by Wax Love.